We’ve all seen them – those different coloured buttons designed to get our attention as we’re browsing the web or reading an email. They’re colourful, soft in shape, encourage urgency and have headline-grabbing text – ideally enough to distract you from searching for more dogs on skateboards long enough to fill in a form and subscribe to, yet another, newsletter. Calls to Action (CTAs for short) are here to stay, but do organisational needs get in the way of the user fulfilling their own needs? A prospective student is at the start of their decision-making journey and they’d like to find out as much as they can about several Universities that are well-regarded for their subject of choice. They browse the University websites and, after delving a bit deeper into the curriculums on offer, they’d like to take some action. A lot of Universities make this easy – there is no shortage of ‘Download a Prospectus’, ‘Book on our Open Day or Campus Visit’, ‘Watch our Latest Video’ buttons emblazoned across home pages and deeper pages within the sites. But do some of these break, or jar, the user journey and potentially put prospects off? Good CTAs are there to provoke an immediate response, ideally through a simple and targeted phrase. But they should be there to guide the prospect through their decision-making journey, which may be at odds with organisational goals. “A CTA button is nothing more than a digital version of a real-life button, such as an ordinary doorbell”, Paul Olyslager. Take the prospectus, for example. A prospective student, let’s call her Katie, would like to share some information on different universities with her friends and family. She understands that her parents aren’t too confident with browsing the web and prefer to digest information in a linear fashion, so Katie (conscious of saving paper) wishes to download the latest undergraduate prospectus so that her parents can read it on their tablets at their own leisure. University A has a clear ‘Download our Undergraduate Prospectus’ CTA button on their home page which immediately brings up a PDF. Job done. University B also has a button with the same wording, but this one takes Katie to another page where there is some general blurb about the prospectus and student life there, and then another button that says ‘Download Now’ which then takes Katie to a form to fill in. Were Katie wishing to have a paper version posted out this makes sense, as the University needs some details to fulfil that request, but the University doesn’t need that information to fulfil Katie’s request – it has chosen to put those extra steps in to fulfil its own organisational goal of getting more leads into the ‘sales funnel’. And this is where different siloes within organisations can start to rub up against each other. Marketing would like prospects to have as much information, as easily as possible, to aid the decision-making process, whereby Sales have their own, conflicting targets which is about lead-generation and getting more and more contacts into the sales funnel. If the organisation were to be truly customer-centric it would enable Katie to get the information in the quickest way, in her format of choice, and offer her the opportunity to sign up to the University’s newsletter for prospective students in her own time. Each Call to Action needs a clear benefit to the user, as well as being linked to an organisational goal. In the University A example above, the benefit to downloading a prospectus is clear – the prospect gets to read more about the University and also share that information with peers and influencers in a way that is suitable for them. For University B, the benefit of Katie sharing her personal information with the University needs to be made very clear, else Katie may decide not to share her information, her peers and influencers may never find out more about the University, and Katie may never engage with University B again. What customer need is that perceived benefit fulfilling? Selling ‘features’ may not be enough to persuade someone to click on that all-important CTA, and so content, and context, is important. All HEIs have Open Days, but these are a feature, not a benefit. Why should a prospect, and their influencers, visit you on an Open Day? Any web page with a ‘Book on our Open Day’ CTA needs to clearly describe the benefits of that Open Day – ‘meet our world-leading academics’, ‘ask our current students questions, ‘see your room in Halls’ and so on. And, as all HEIs do have Open Days, what makes yours special and distinctive and stand out from the rest? If you can’t think of anything, it might be time to revisit your Open Day schedule! So, it is the benefit that will drive the action, not the feature. Context is important too. Some organisations have standard CTAs that appear on every page within a certain section. However, some of these CTAs may not be relevant, and indeed confusing, for someone reading a particular page within that section of the website. Do the CTAs make sense in the context of the page that they are in? If not, remove them, or possibly reword them. Ideally, the content on a page, or within a communication, should only have one purpose, which should help when designing your content and adding in CTAs. Less is more when it comes to choices – too many and people get overwhelmed and don’t get involved at all. Keep it simple. Inbound Marketing and CTAs – what works when? CTAs are all part of your inbound marketing activities – activities designed to earn the attention of prospects and bring them in, rather than having to pay to attract them. But these activities must provide value to these prospects else they are noise and get in the way of what they are wanting to achieve. “Sharing is caring and inbound marketing is about creating and sharing content with the world”, HubSpot. A basic CTA can take the user on the next stage of their fact-finding journey, e.g. ‘Read our Student blogs’, ‘Visit our Fees and Finance pages’, ‘Watch our latest Chemistry video’, and these are useful for the ‘attraction’ stage of the customer journey. At this stage the prospect is looking for more information about your organization to see if it matches their own needs at that time. To convert prospects, Content Marketing comes in to play; providing useful, non-biased, content that will help the prospect along their way. This is usually in the form of top tips, white papers, newsletters, topical events, to which the prospect must sign-up, giving the institution their data, thus adding them to the sales funnel. This starts to convert the visitors to your website into leads. Strong actions such as ‘Subscribe to our Newsletter, ‘Register for our Webinar’, and ‘Book on our Open Day’ are used to create a sense of urgency and entice the prospect in. The ’closing’ stage is very much down to the organization’s use of the data gathered in previous stages, where CRM (Customer Relationship Management/Marketing) techniques are used to further engage with prospects, for example, through emails, newsletters, bespoke events and follow up phone calls. This stage must be beneficial to the prospect, and so, as above, content and context are vital for further engagement. If a prospect (by now, hopefully a fully signed-up new student) is delighted they will happily promote you and your content, and this is where social sharing buttons (which are different to Social Follow buttons), comments on blog posts and surveys can all be useful to make it easy for others to share your content, or add to it. Whilst no customer data is gathered, social sharing gives a great insight into what your prospects and customers find useful to them. It is possibly more effective for your organisation, as this is an endorsement from a real person who may have influence over a lot of other people, who may then engage with the organisation and add to your inbound marketing success. 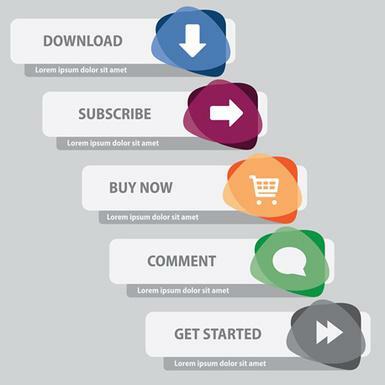 “Adding these buttons to your content allows you to expand the reach of your content to new audiences and generate new visitors back to your website”, HubSpot. But don’t go overboard with social sharing buttons – use analytics to determine which ones are most used by your customers, and most valuable to your organisation, and only include those on your web pages and communications. If they don’t use it, lose it! Testing is vital, not necessarily to always prove that something works best – it may not – but to provide insights and learning and test hypotheses on real users. Test everything that you can – colour contrast, placement, wording, sense of urgency, simplicity of design, use of white space, surrounding content and context. “The goal of a test is not to get a lift, but rather to get a learning”, Dr. Flint McGlaughlin, MECLABS. “Subtle changes to a design can indeed have a big impact on how a user engages with a page”, Econsultancy. Eye tracking is a way of determining whether a user’s eye is drawn to your CTA – however, it won’t tell you how likely they are to click on it. Only user testing and observation will determine whether it is or isn’t and prove which CTA will be more engaging for prospects and therefore more beneficial to the organisation. Not all CTAs will lead to channelling the customer further down the sales funnel, but they should increase engagement with your organisation in a way that is beneficial to them and then, ideally to the organisation too. There is no magic recipe for a good CTA - color, shape, placement, wording, sense of urgency, content and context can all form part of the success of the CTA, and so testing is vital. “If you test it out and it works then it’s a good call to action. And you should always test it”, Econsultancy. Coming in our next blog – some examples from the world of UK and US Higher Education.